For the last year or so I've been painting up a lot of American troops for my All Quiet on the Martian Front game. I painted a land ironclad and a squadron of cavalry and a battalion of infantry and a of of supporting troops. Totaling up the points I realized that I needed more Martians! 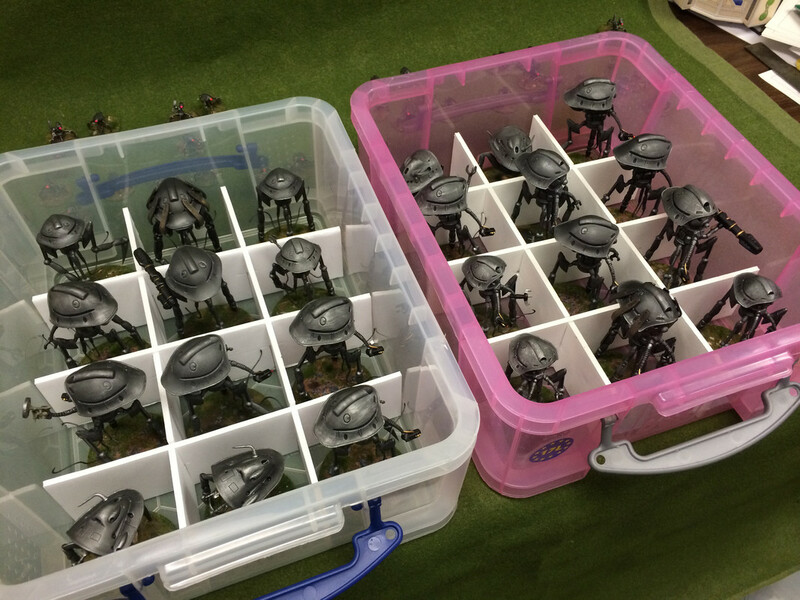 I also needed to get my Martians organized. 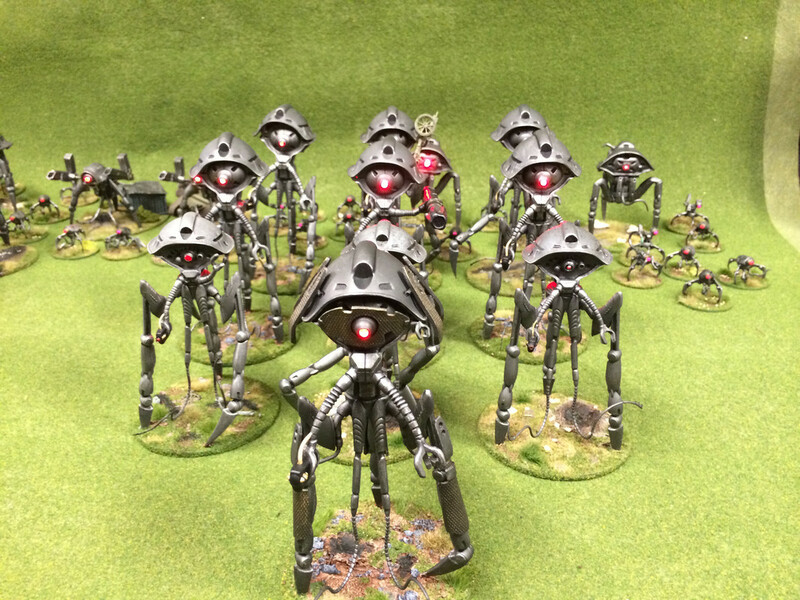 In my Great Martian War novels I decided that three tripods made up a ‘Sub-Group' and that three ‘Sub-Groups' plus a commander made up a ‘Group'. Three ‘Groups' plus a commander made up a ‘Battle Group'. I didn't quite need an entire Battle Group yet, but I decided that two full Groups would be about right. I already had six scout tripods and five assault tripods so I decided that I would add seven assault tripods to give me twelve. That would allow me to have one scout sub-group and two assault subgroups in each of the Groups. No links to your blog so we can see them in action? Oh God, blogs. My daughter tried to explain how they work and set one up for me for my novels, but I never really use it. Social media is like some very scary foreign land to me.